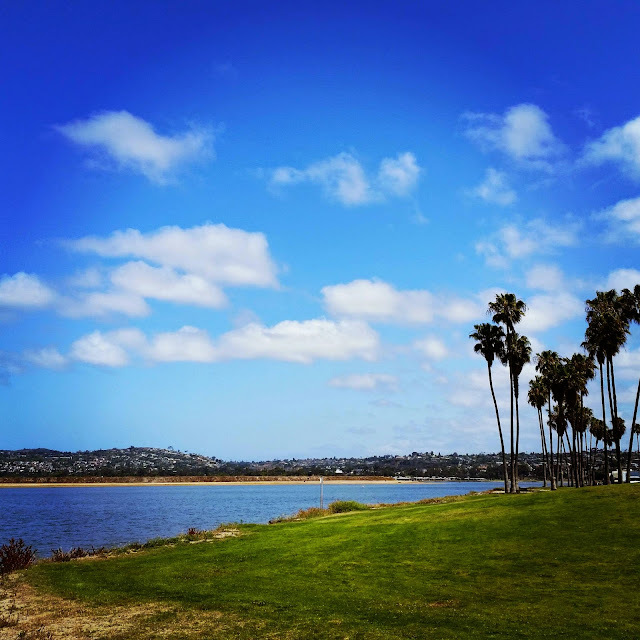 If you follow my Instagram account, I'm sure you've noticed I've been trying to stay active in San Diego. 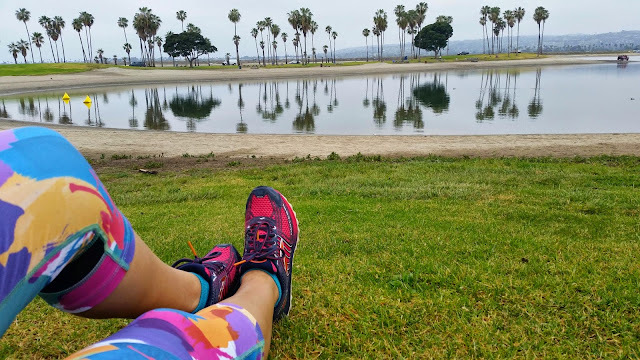 This city has so much to offer from hiking, beach runs, trail runs, hills, and great tracks for speed work. Honestly I could run around my parent's neighborhood and be completely fine, but it's nice to get out there and check out new locations. Lately I've been running at Mission Bay. 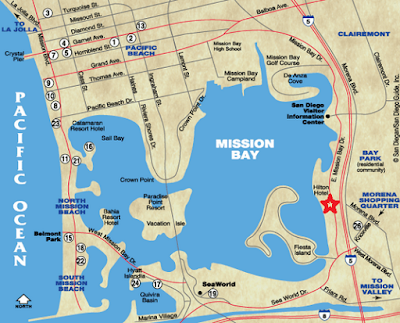 Mission Bay Park is one of the largest man-made aquatic parks in the country. It consists of 4,235 acres, approximately 46% land and 54% water. It is also one of San Diego's most popular locations for picnics, flying kites, or to partake in water activities. If you are visiting from out of town, not only are there great places to eat but also great hotel accommodations to choose from. 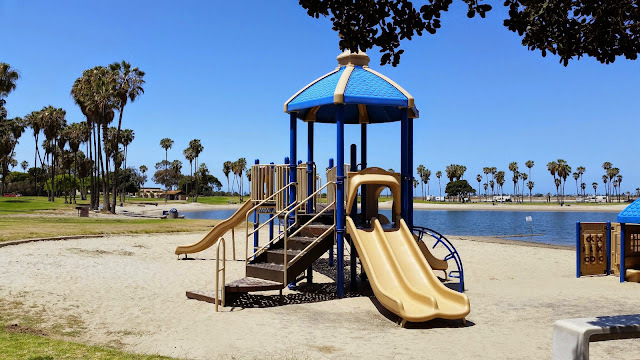 Since it is right off the 5 freeway, getting here is not a problem. So if you are here and in need of a fairly flat, great running location...then I would highly recommend taking the time to visit here. This park has many running and biking paths to choose from. 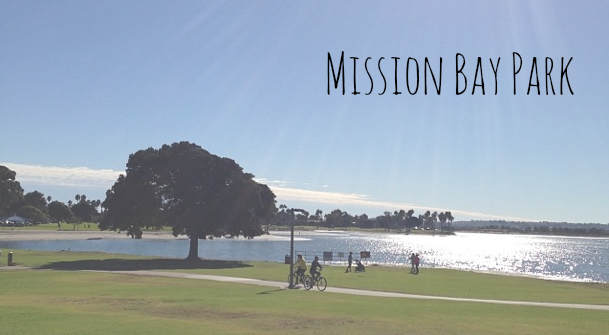 Bicyclists, skaters, walkers, and runners can enjoy a nearly continuous loop around the entirety of Mission Bay. 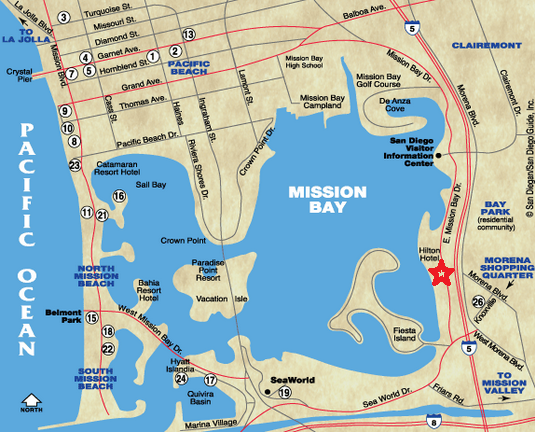 Depending on where you start, one might enjoy a 3 mile one-way ride or a 19 mile full bay loop. 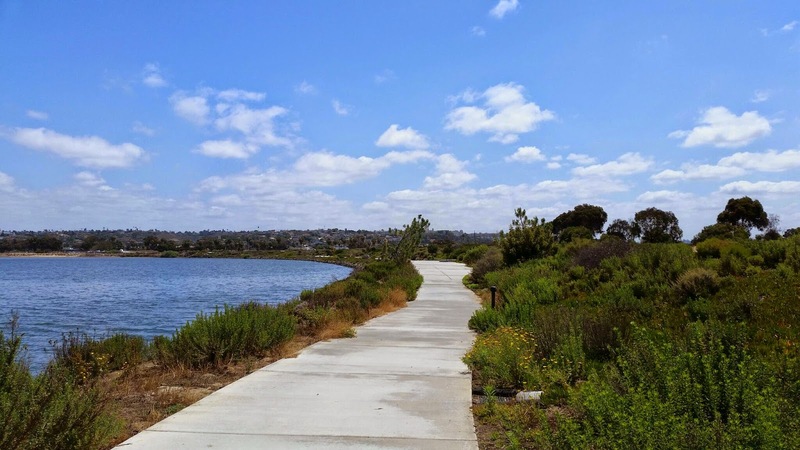 Biking or running along the bay's pathways is a great way to exercise and enjoy all of it's beauty. Along the route are exercise stations, opportunities to rent boating equipment, natural preserves and several dining possibilities. One of the best parts: THE VIEWS!! I am blessed to have this in my own backyard. The kids won't get disappointed either! Throughout the park, you'll find areas for the kids to play and entertain themselves. You'll almost always see a parent watching their child play while also getting a quick HITT workout. 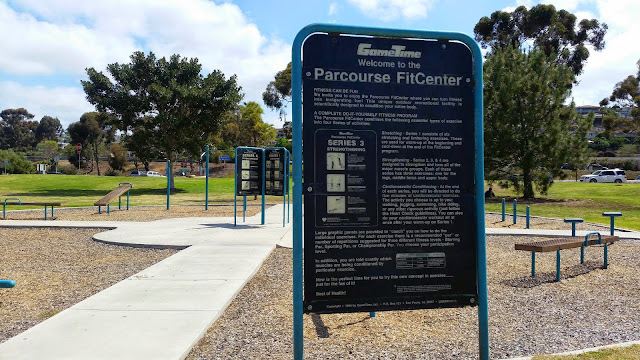 There are also many fitness centers around the park to give you some more workout ideas. If you need to do some sprints, there are plenty of flat open areas to get some Tabata sprints. 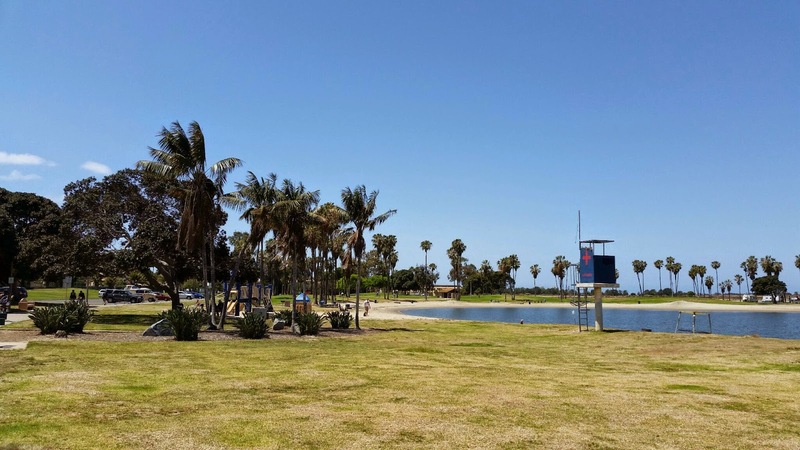 Of if you need to get some R & R, yoga, or just "me" time there are plenty of grassy areas to do so. 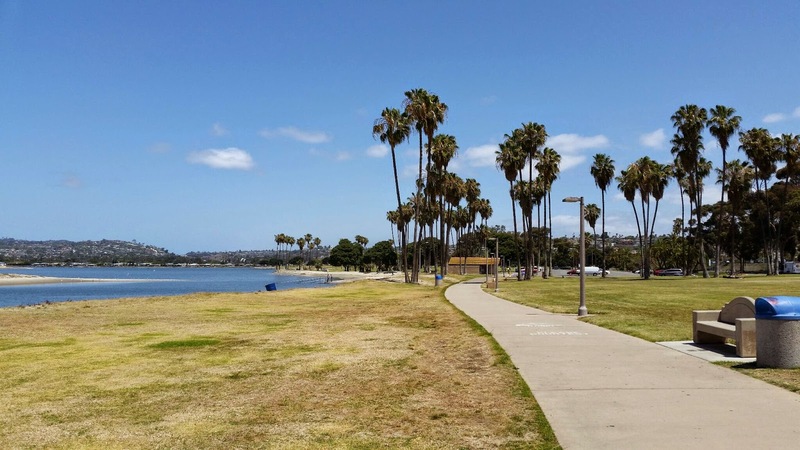 So next time you are thinking of lacing up those running shoes, head on over to Mission Bay Park. I guarantee you will not be disappointed. Wether you are scheduled to do a long run this weekend or just want to check out the views, this place is a perfect place to enjoy the weekend. 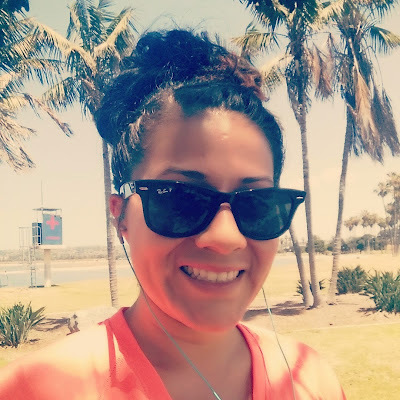 Linking up with Annmarie from The Fit Foodie Mama, Amber from Coleman Fit, Sarah from Creating A Better Tomorrow, and Angelena Marie: Happy, Healthy, and Balanced. WOW, what great views. Palm trees are so "norm" out there, I love it! Haha! 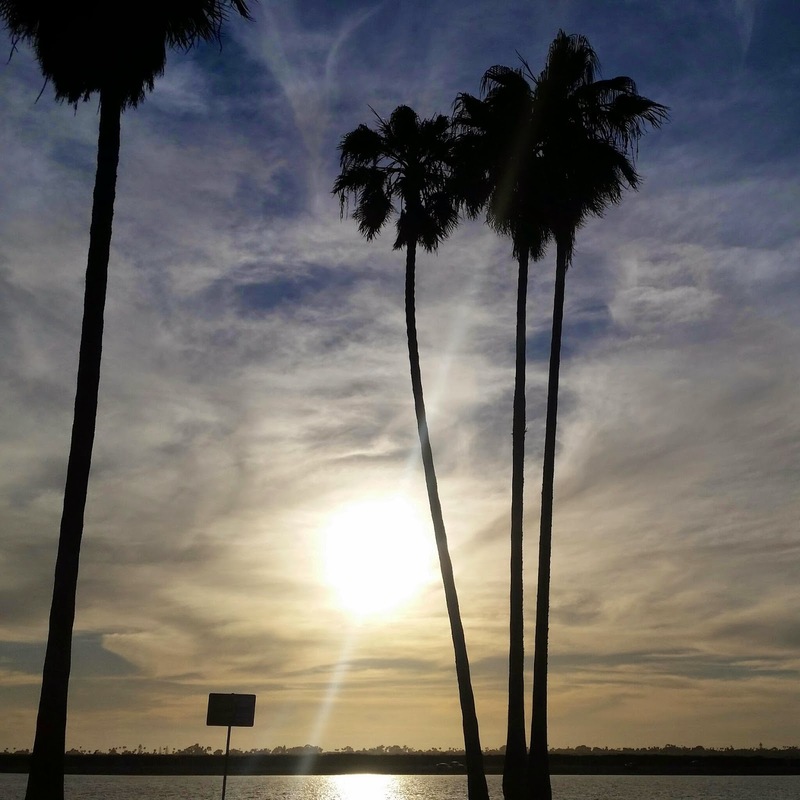 Yeah there are palm trees everywhere around here. ahhhhh, I need to be there right now! those views are amazing. Simply amazing. Youre lucky!